Dentfree AutoTree - Why use Dent Free techniques? Thread: Dentfree AutoTree - Why use Dent Free techniques? Dentfree AutoTree has built a reputable brand for over 25 years specialising in the refined art of Paintless Dent Removal. 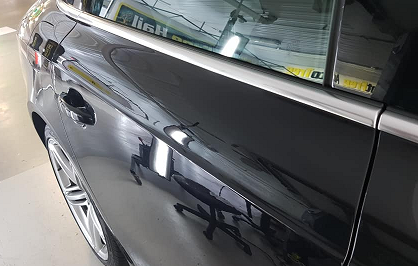 Paintless Dent Removal or (PDR) is the highly skilled technique of reshaping and manipulating metal back to its original shape whilst keeping the paint (duco) intact, eliminating the need for respraying. 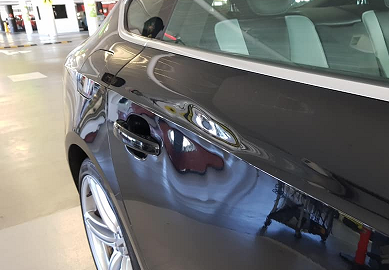 DentFree AutoTree is renowned for providing the highest quality paintless dent repair using the best PDR technicians in Sydney. From extensive hail damage, to minor shopping trolley accidents, DentFree AutoTree maintains the originality of your vehicle, treating your vehicle as if it were their own. Now located on Level P3 of the new Westfield Warringah Mall Carpark, we encourage customers to call in for a free quote, and in most cases, paintless dent repairs can be completed while the customer shops. Additional repair work can be completed over one day, although more extensive repairs may require leaving the car in overnight. Committed to providing friendly, honest service, DentFree AutoTree prides itself on superior service and quality workmanship; if its your valued car, a vehicle you wish to improve for re-sale, or perhaps a company vehicle, the team at DentFree AutoTree will take care of your car and return it to you in prestige condition. Check out our Gallery for pictures on before and after repair jobs and judge for yourself. I've watched dent removal in action, it's cool. I had a few removed from the Jeep, can't tell at all. Also my old B6 A4, had it with them for the whole day (many years ago).... they took out 14 dents, and it was amazing..